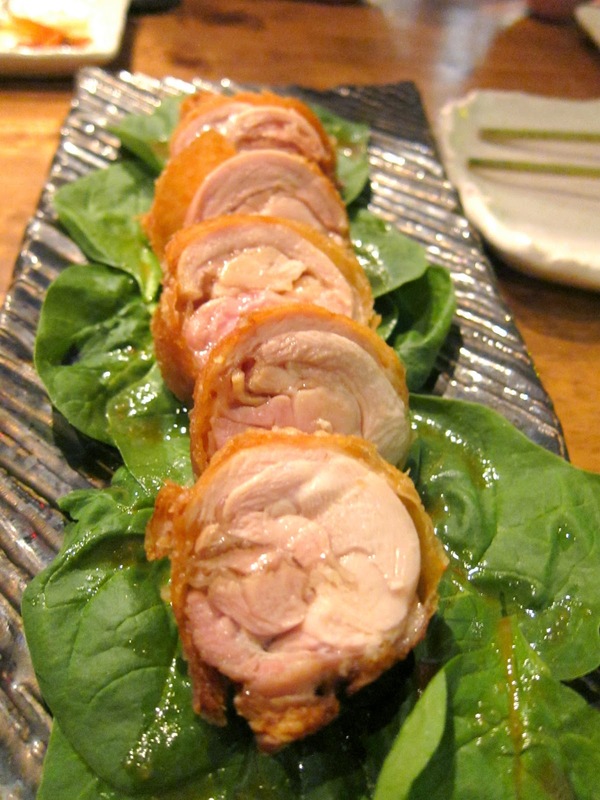 There are 2 off strip restaurants that people always talk about in the Sin City, Lotus of Siam and Raku. While the former fell just a bit short of expectations, the latter was well worth the cab fare. 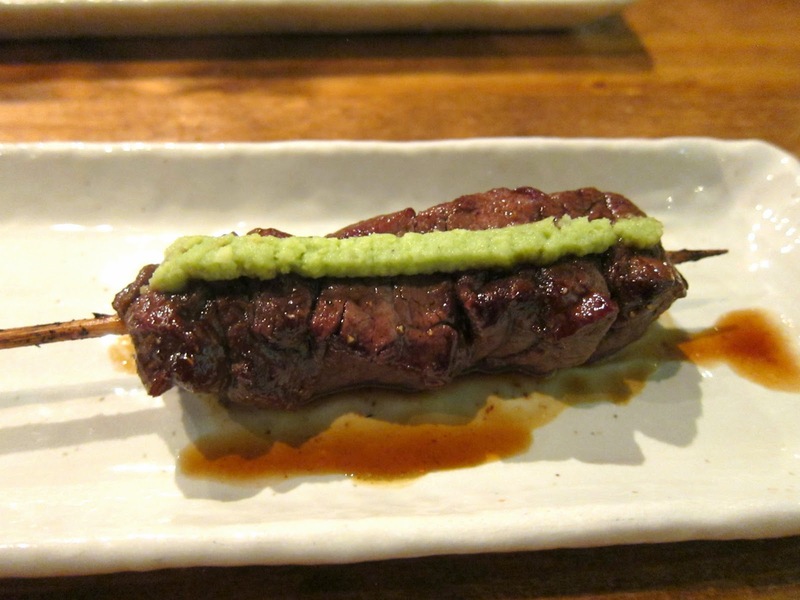 Some people say Raku is one of the best izakaya restaurants they’ve been to. Smooth Obturator and The Boss Man really raved about this place. So I dragged Teety, Soprano Man, and The Pouter to this distant dining destination to start off our Vegas weekend. …at least I think that’s what it was. In any case, it was wonderful. 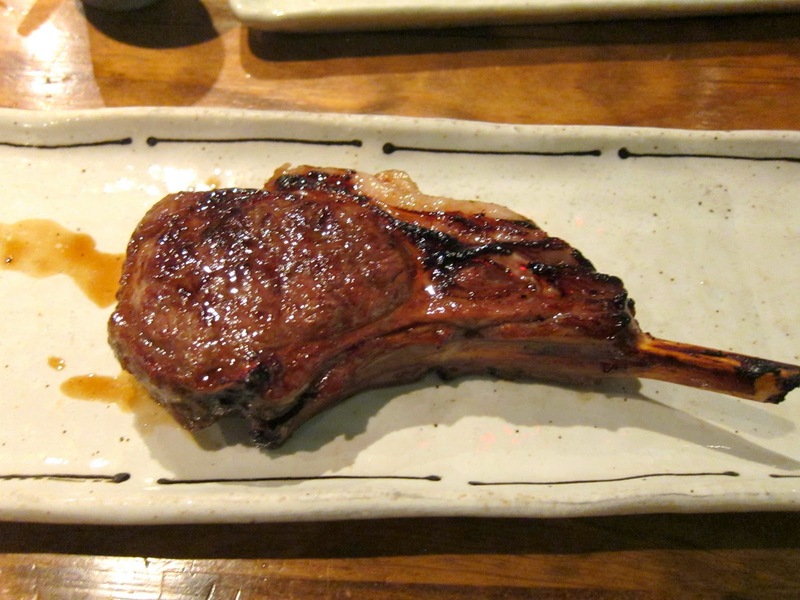 Fatty with just a hint of flavor from the yuzukosho and soy sauce in the little spoon. That’s one of the most umami packed soy sauces I’ve ever tasted. Soprano Man, who doesn’t partake in raw delicacies, really missed out here. Here was another special of the night. 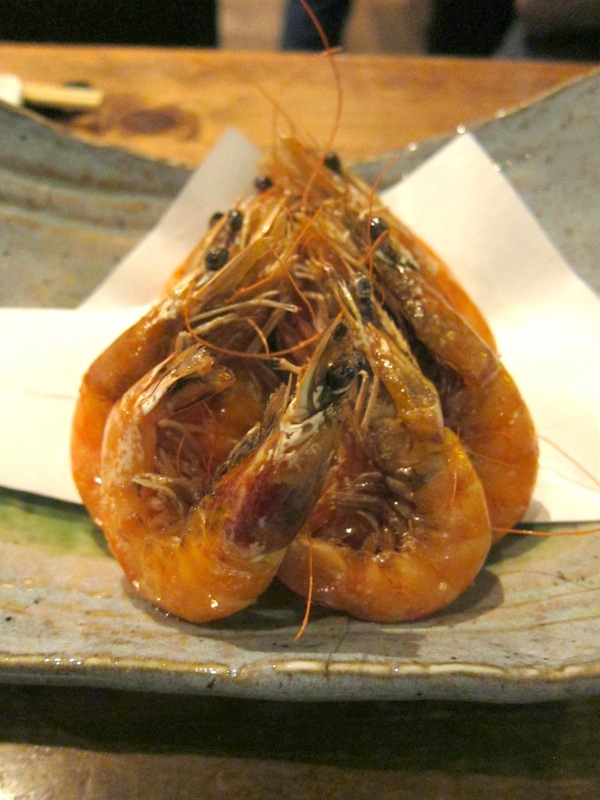 I LOVE shrimp, so I liked this preparation, but my dining companions probably didn’t like having to gnaw through all the shrimp skins. If you’re not a giant shrimp fan, you probably can do better. It is amazing how a little fire and charcoal can make something taste so delicious. The smokiness highlighted the vegetal sweetness inherent in these skinny greens. 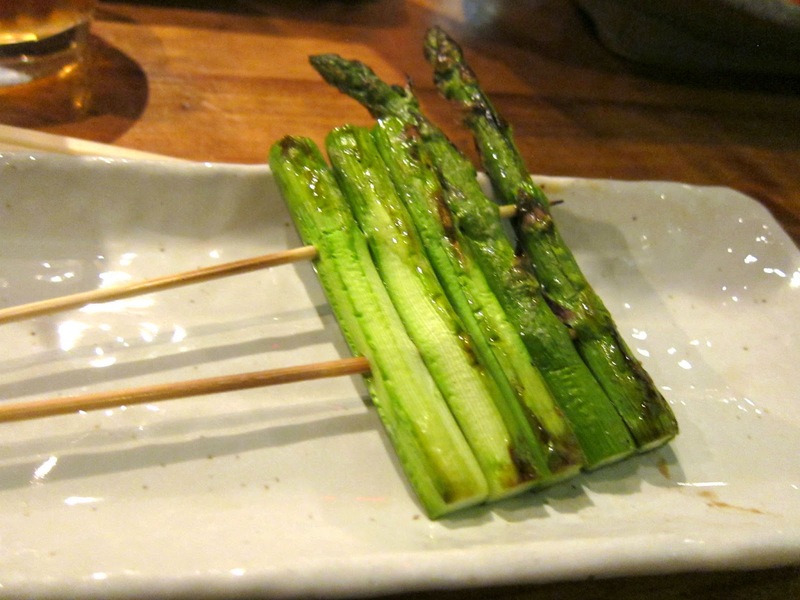 When we went for a round 2, I had to have another order of the asparagus. You can have this wrapped in bacon, but the waitress actually recommended sans bacon and I’m glad I took her up on her recommendation. The Boss Man highly recommended this dish. I loved the cartilaginous crunch contrasting with the soft fleshy chew. 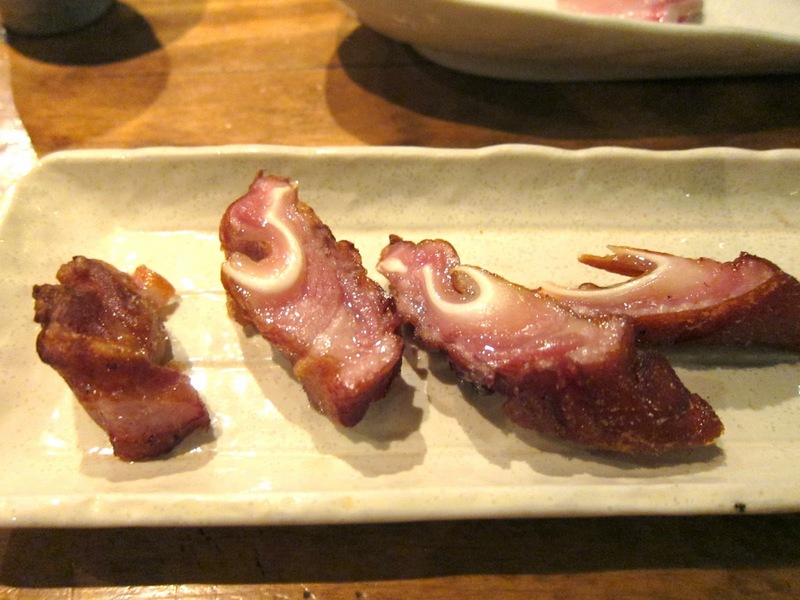 I still think the pig ears at Tar & Roses was far more impressive. Another special of the night, tasty but nothing too special. Similar to the asparagus, the simple char really won me over. This also made an encore. Solid, but not as good as the next dish. Filet is NOT a cut of meat I ever gravitate toward. 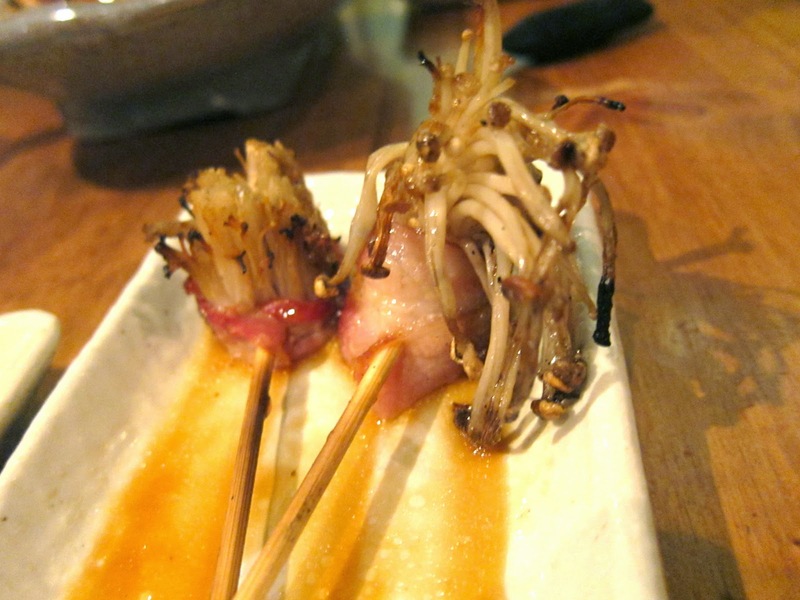 Surprisingly this was a much more unctuous skewer of meat than the previous dish. The wasabi added great kick. Soprano Man had to have a 2nd order of this. 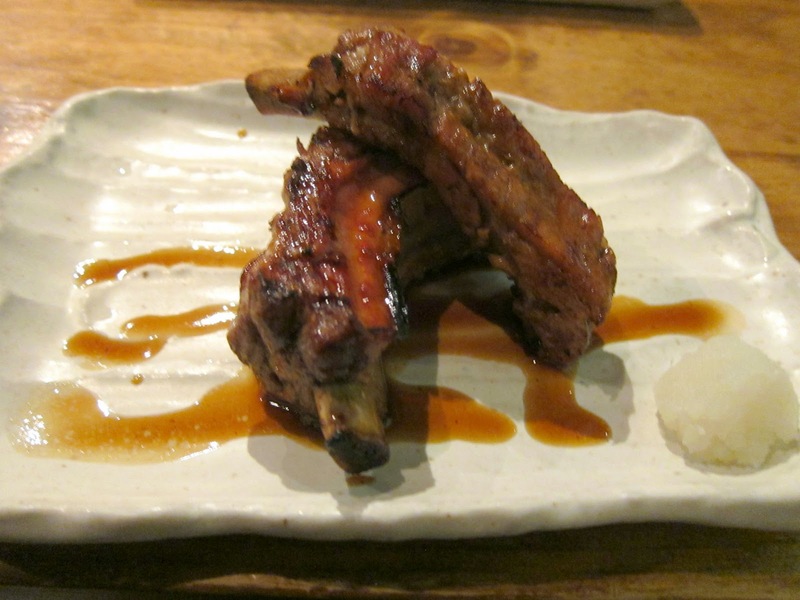 It definitely had some sweetness to it which was reminiscent of some good ole Southern style ribs. 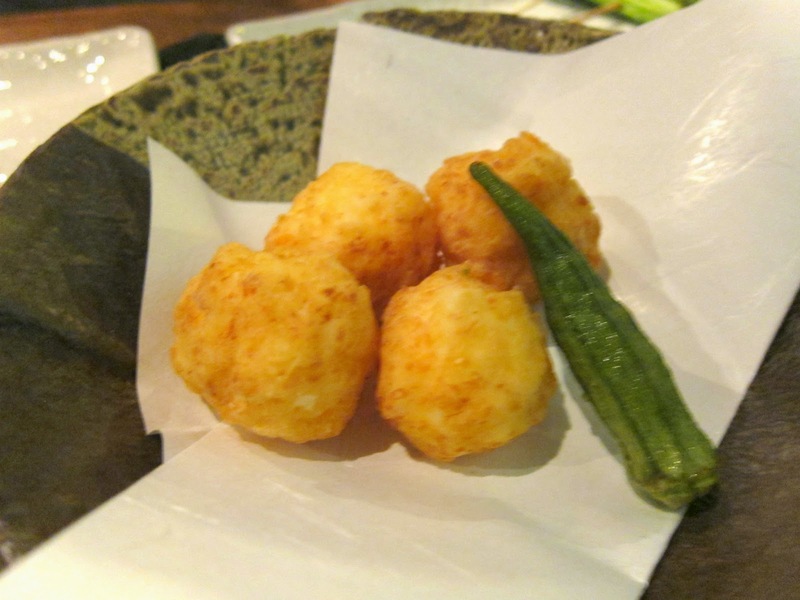 I have such a weakness for agedashi tofu. 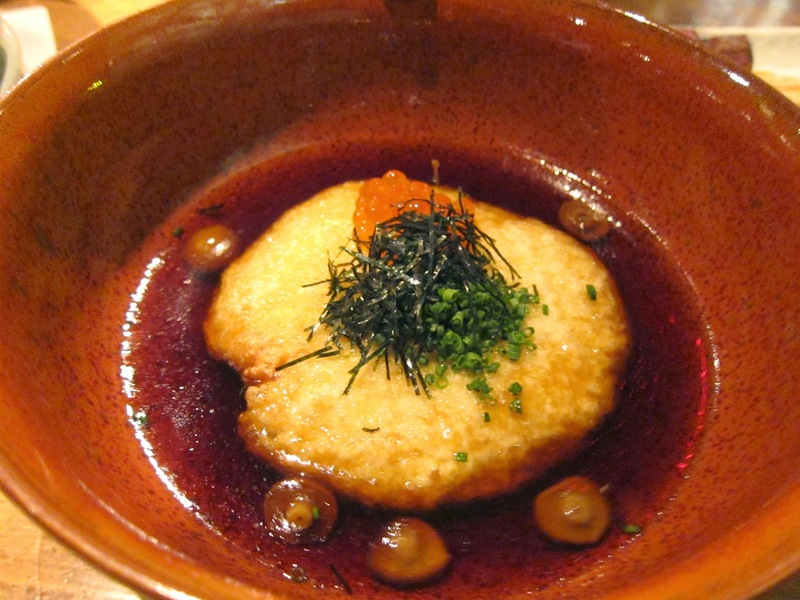 I love the silken soft tofu, with the crispy sometimes gelatinous exterior, bathed in an umami rich brothy soy sauce. Most times I am sorely disappointed, but this time my expectations were blow out of the water. I heard their tofu is made in house, which would explain the clean fresh taste. The best part really was the sauce, not too salty, too sweet, juuuust right. I wish I could bottle it up and pour it on everything. Succulent little chop, just barely sweet. Another MUST HAVE dish. 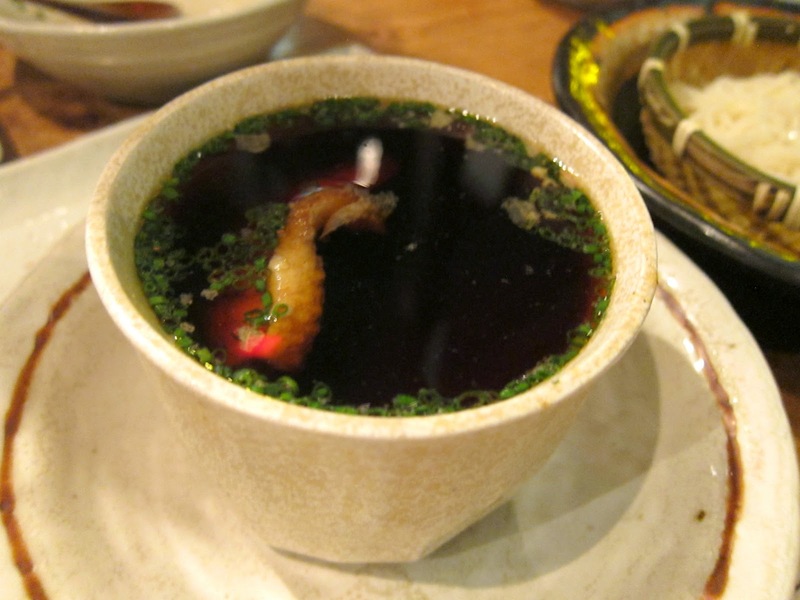 Ice cold udon noodles dipped into piping hot umami rich broth with a good hunk of seared foie. This was one of the most unique and perfectly executed dishes of the night. 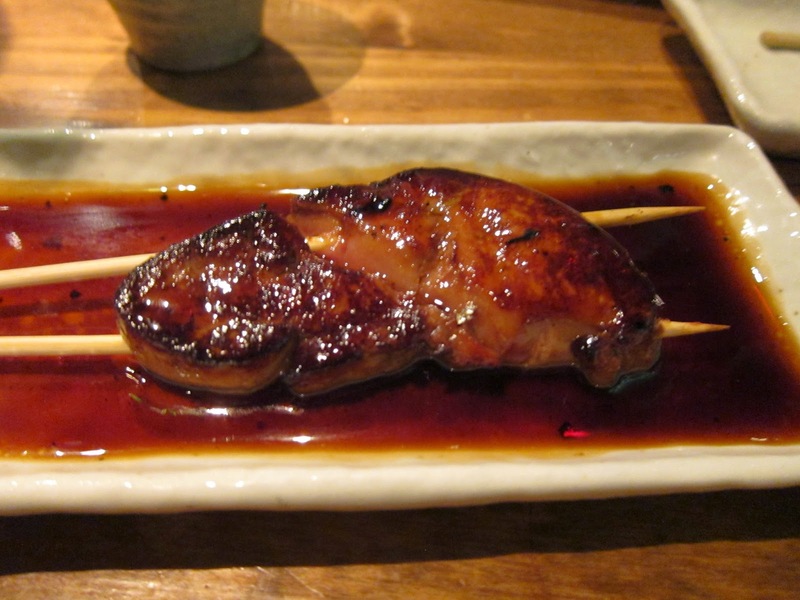 I’ve had foie in many preparations, but none like this. I had no intention of ordering this because it was quite pricey, but The Communist threw it in for round 2. 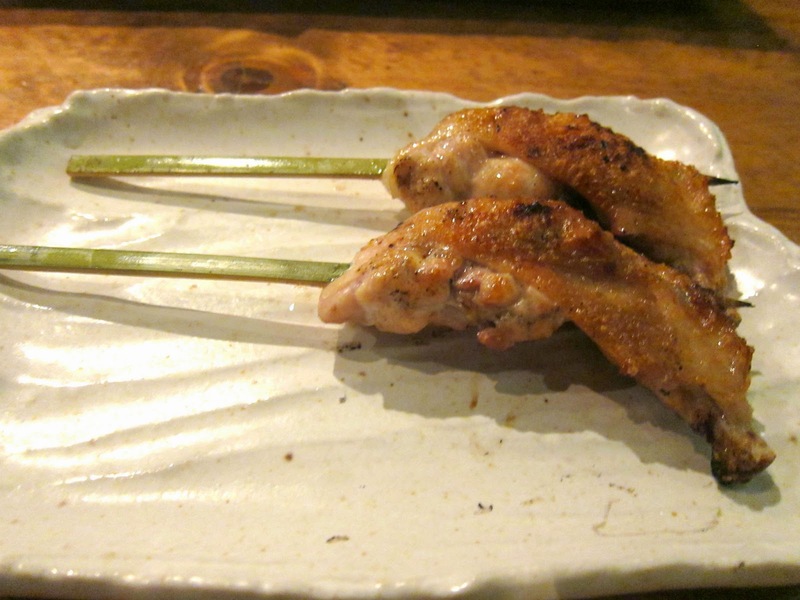 It was skewered, sweared, and dripping with sinful fat in each rich bite. 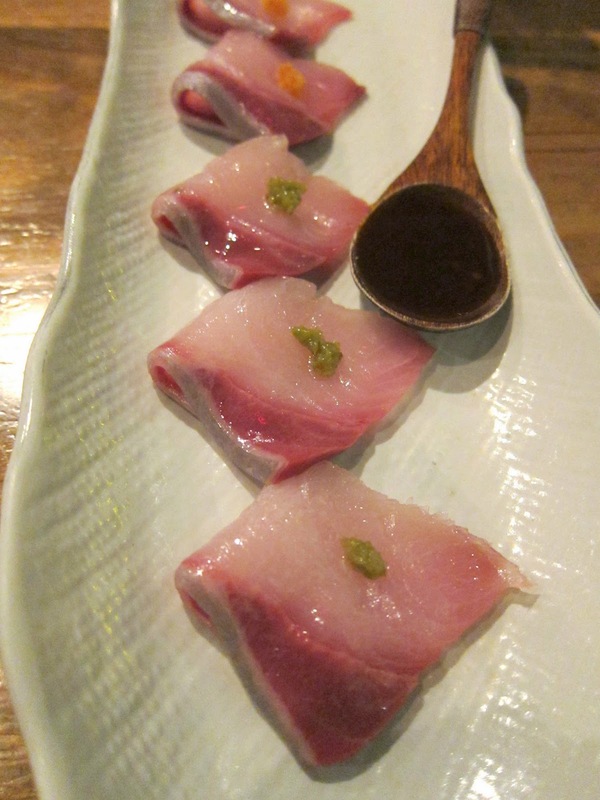 Raku is definitely worth a trip off the strip if you’re ever in Vegas. 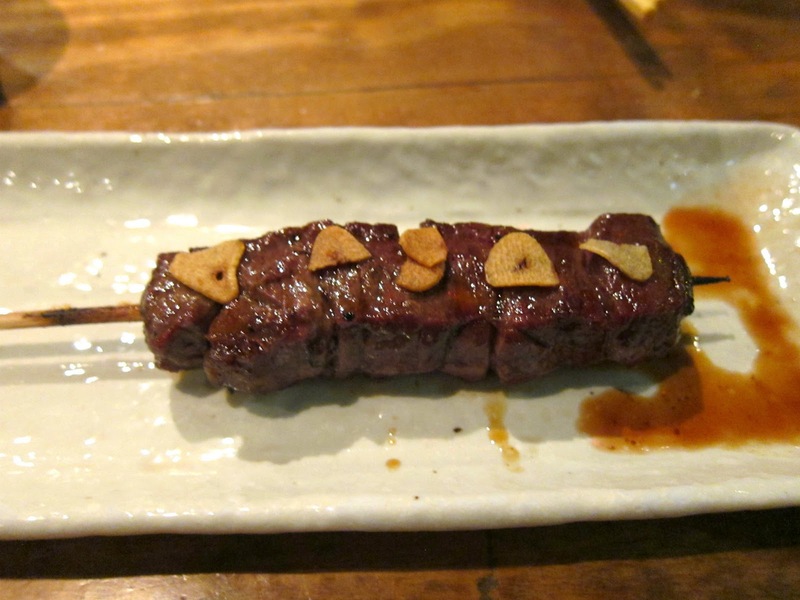 Not every dish is spectacular, but generally the food is very well executed and maybe the best yakitori I’ve tried. 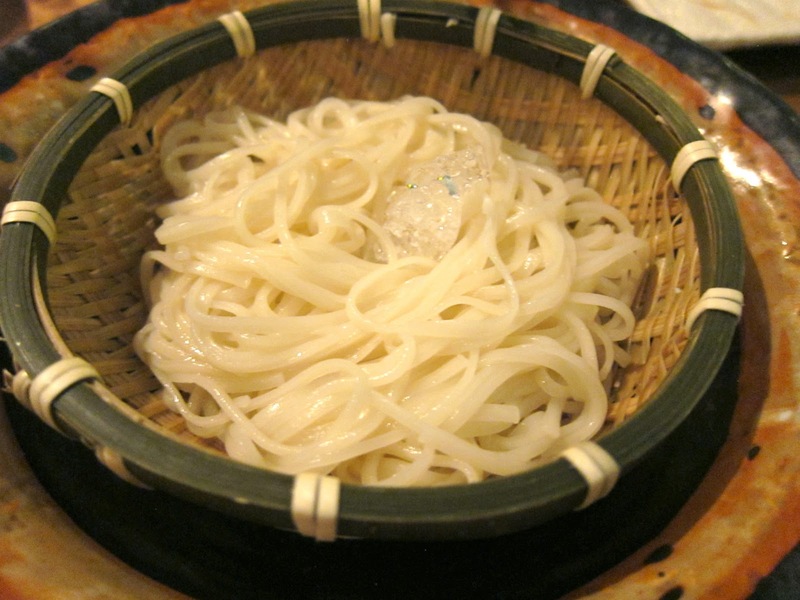 They also have very special things I haven’t found elsewhere like the cold udon with foie custard soup and the best agedashi tofu. Pingback: Shoraian – Overworked. Underfed. Pingback: Sweets Raku – Overworked. Underfed.